Are you a Scottsdale baby boomer selling your condo in Chicago to move to the Sage? Or do you collect classic cars and found a cool Chevy Bel Air, but it’s in Michigan? If you’re a car dealer, or you just like to buy and sell vehicles online, there comes a time when you need car shipping to Scottsdale. 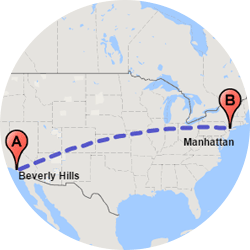 How long does auto transport take from Scottsdale? 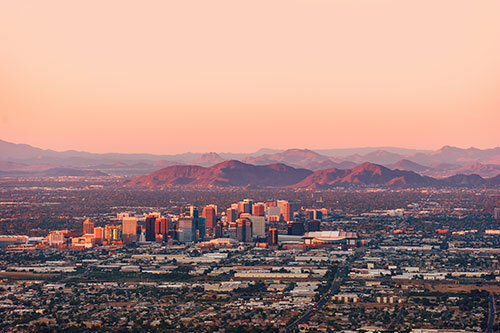 You probably want to spend more time hiking Pinnacle Peak or hitting SMOCA and less time on the phone with car shippers. But, what if you want your camper in Arizona for the winter? 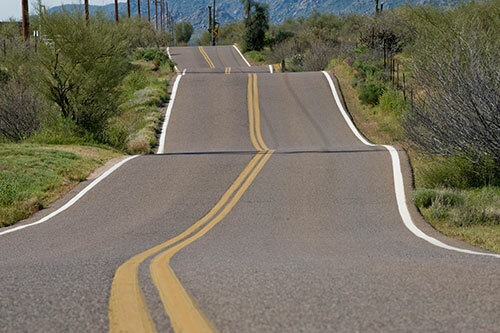 You have no choice but to seek out auto transport companies in Scottsdale. How long does the entire process take? 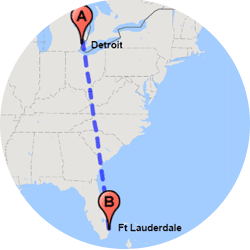 We can offer you 24-hour pick-up most of the time, using our express auto transport service. For standard vehicle shipping we can usually get to you within a week, and the time needed for car delivery depends on several factors. Where is your vehicle going? 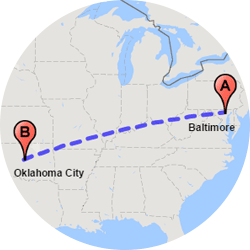 While it may seem like the 1,200 miles to Kansas City is a longer trek than the 700 miles to get to Huntsville, Utah, it might take longer to go the shorter distance, because it’s off the beaten path. There are fewer carriers going to small towns, plus any mountain travel can slow it down. Is it going through the Rocky Mountains at Christmas? You’ve got a double whammy again with that one, because of possible winter weather slowdowns and holiday traffic! 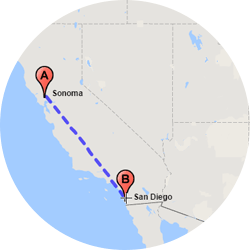 Whatever you need, we try to meet your needs when it comes to the length of your car relocation job. Our transport coordinators remain in contact with you at all times, because we aim for your complete satisfaction. We do motorcycle shipping and truck transport in Scottsdale. Are you exploring more permanent options in Scottsdale and want to bring what you love to live in – namely, your golf cart? 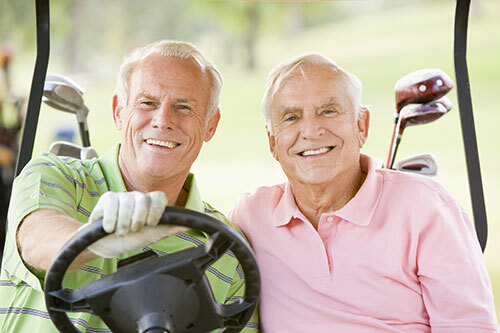 We can go anywhere and provide golf cart transport to Scottsdale, if that’s what you need. Easy Car Shipping is a transport company for cars and a number of other vehicles, including campers and RVs – as long as they aren’t really large models. Did you buy a Harley in Scottsdale to ride all winter, but now you want to bring it home with you to Minnesota? 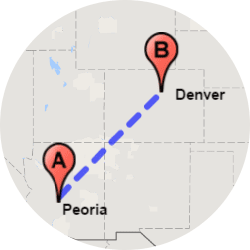 We can ship a motorcycle from Scottsdale to wherever you need it. 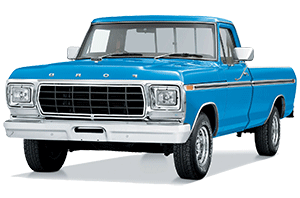 Do you have a souped-up F-250 you want moved? 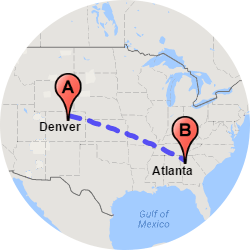 No problem – we can ship a truck in Scottsdale – let us know if there are any unusual features in regard to size, such as a lift kit or oversized tires. Did you just find out you’ve got a corporate relocation coming? If you love your family’s minivan, we can help you with van transport too. Or do you have a van with handicapped features? We ship hundreds of vans with handicap ramps yearly. 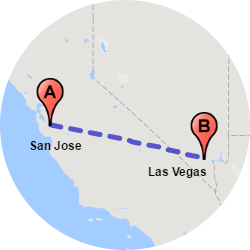 If you’re a dealer with customers hailing from California or Utah and you need to find good, reliable auto shippers in Scottsdale, you came to the right place. What make of cars do you sell? If you’re the Mercedes-Benz dealership, you need luxury car transport in Scottsdale. Most car transport companies would strongly suggest you look into enclosed car shipping. Did you buy a car at auction, but it’s in Oakland? If it’s a used family car, like an older model SUV, open car shipping services should be fine. Open trailers carry about 7-10 cars, which are stacked on a truck. But enclosed transport has trailers that limit the number to 2-6 cars at a time. 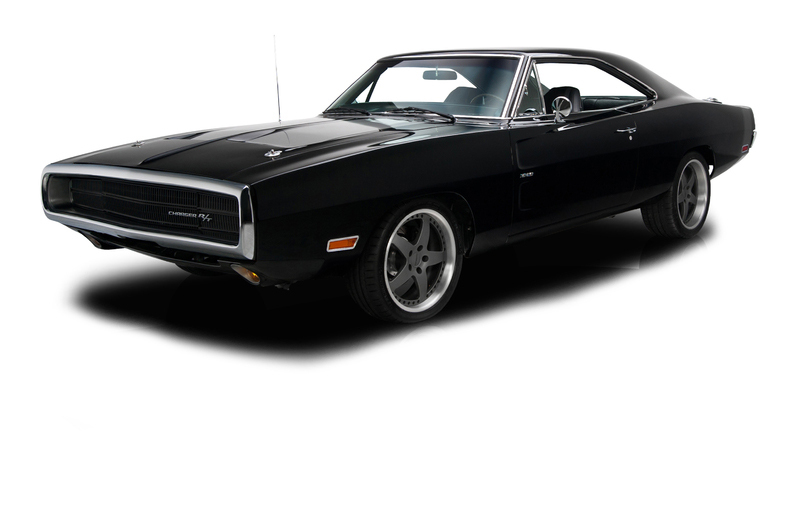 If you collect muscle cars or you’ve got a 20th century Cadillac you worked on, it’s probably a good idea to get the protected carrier for classic car transport to Scottsdale. The same goes for exotic car transport in Scottsdale. Do you surf the internet, researching supercars, like Aston Martins and Bugattis? For vehicles valued at $70,000 and above, we recommend using enclosed transport. It costs more, but it’s worth it to keep rain, hail, dirt and sun off of the car. 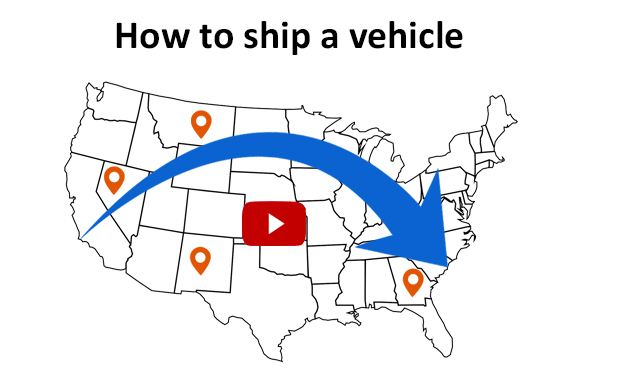 How much does it cost to ship a car in Scottsdale? Aside from whether or not you use enclosed shipping, you have other options which may affect your bottom line also. One of the best features of Easy Car Shipping is our Quick Quote system, which enables you to find out the cost online, but even better – we guarantee you that price for two whole weeks. The industry average is about half of that! If you choose specialty services, such as enclosed transport – for either an expensive car or lightweight vehicles, such as motorcycles and golf carts – the auto transporter cost is higher. If you need the job done quickly or to arrive on specific dates, you may need express shipping, which would also make an impact on your quote. There are discounts for more than one vehicle for you. And do you serve on a nearby Air Force or Army base? We give discounts to active members of the military. It’s our way of thanking you for your service. 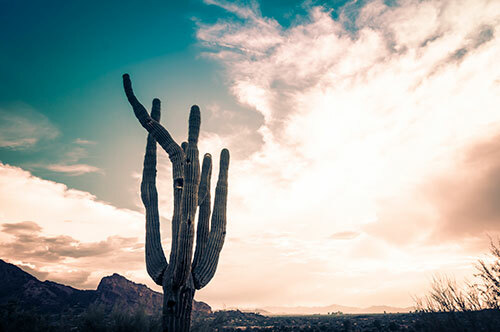 Why choose Easy Car Shipping for vehicle transport in Scottsdale? While our Quick Quote 14-day guarantee is among the most widely praised aspects of what we offer at Easy Car Shipping, there’s something that may be even more important. We have three decades of experience in the industry and know a heck of a lot about cars! That means you have an added safety and assurance it’ll be done right. Plus, we have terrific follow-through. Are you “gun shy” from the lack of commitment by other car relocation companies? 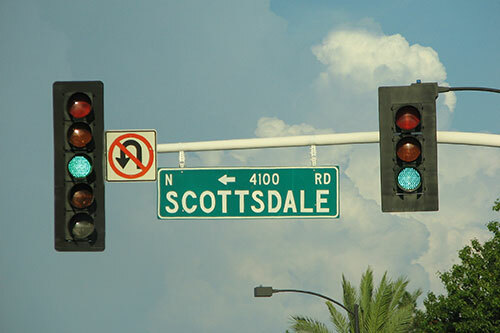 When you ship a car in Scottsdale through us, you can get back to the golf course or see another museum. We know what we’re doing. If it’s a new purchase you found on AutoTrader or you need auto transport from Scottsdale to someone you sold to on ebay, we take care of the whole thing. Read our online reviews to see our track record. We’ve maintained a rating of 4.6 out of 5 stars with previous clients. It’s your vehicle – priceless or not – so you don’t want it in the hands of someone else without insurance! We offer that as part of our service. You find it in our original quote. You wouldn’t consider a road trip without insurance, and we feel the same way. A car transporter we use will always have proof of insurance coverage. It gives you that added peace of mind knowing it’s in place, in the unlikely event that something doesn’t go as planned. What you know you’re getting with us at Easy Car Shipping is reliable auto transport, whether you’re an individual who’s going through a corporate relocation, or your company’s fleet needs moving. 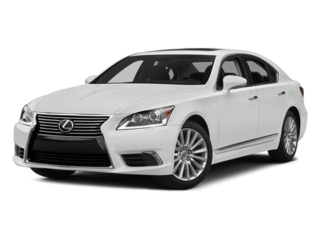 We provide you with a service beyond basic auto shipping in Scottsdale. We forge a relationship with you that you can trust, with open communication and quality expertise.